It would be a bit of an understatement to simply say that technology has rapidly been improving our lives. This, of course, can be felt not only in our personal lives — where we all now have a tiny computer in our pocket — but also in our business. We took a look at some of the biggest UC trends for 2017, and it’s pretty safe to say that all new trends are based off of new technologies. If there is one UC industry in particular that benefits directly from technology improvements, it has to be contact centers. Previously, we focused on the omnichannel experience for 2017, but modern tech looks like it will help push our centers even further. Interactive Voice Response systems (IVRs) are now a very common and standard aspect of almost any call or contact center operation. Even IVRs were once at the forefront of technology, albeit back in the 70’s and 80’s. At this point, many of us are sick of them, and just yell “Agent” at the phone until we finally get a real human. But even your IVR system can be modernized with new technologies. Part of the tech wave that will influence our Contact Centers is the massive growth AI is currently experiencing. It would also be a bit of an understatement to simply say that AI is going to be big — because it will be, and is already starting to be, massive. In fact, Contact Centers won’t be the only industry to benefit, though it certainly is one already jumping on the newest tech out there. WebRTC is just one great example. We wanted to search the market and compile some of the best providers of the ground-breaking technology already available to boost your Contact Center’s efficiency, and bottom line. Of course, we will start with one of the most obvious technologies — one that is in fact powering the majority of new contact center tech: AI. It’s with no surprise to anyone that AI is easily one of, if not the, most important technological breakthroughs being developed. Many analysts, developers, and great minds agree that AI will disrupt a vast number of different markets — and the contact center market is no different. In fact, Contact Centers are already some of the first adopters of utilizing AI in practice. Contact centers are moving beyond concepts and already integrating AI directly into their daily operations. Not only have contact centers begun to jump on the tech first and foremost, but AI specifically will make its way into contact centers in multiple different forms. AI can do more than just power emotionless bots to help users receive answers. Powerful AI tools can be integrated to create a smart, modern IVR system, or allow a business to establish entirely new self-help options for clients to utilize before speaking to an agent. Interactions – Not satisfied with basic IVR systems, Interactions aims to redefine self-service options with their patented “Adapting Understanding” technology. Interactions’ virtual assistant solution helps improve customer satisfaction, reduce dependence on costly seasonal live agents, and it even claims to improve a center’s call containment up to 35%. Afiniti – Again utilizing AI, Afiniti looks to transform the way humans interact with support by “applying AI to discover, predict and affect patterns of interpersonal behavior.” Afiniti will help improve the way your clients interact with your support system thanks to the benefits of AI. IPsoft Amelia – Amelia, as IPsoft claims, will be your company’s first digital employee. Amelia is a cognitive agent that can be deployed in a variety of roles, such as a service desk or support line representative. Essentially, Amelia could act as an IVR, or simple agent support, but she interacts and communicates with customers through natural language — not just yeses and noes. 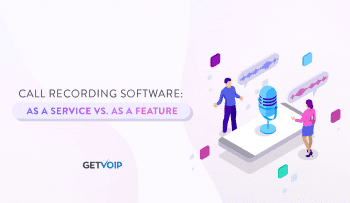 Inference IVR – Inference IVR is not your old school voice response system, but rather a cloud platform for creating a smarter IVR solution in-house. Using a template library, a company can either design their own solution from scratch or build off existing platform-specific technologies to include speech recognition, text-to-speech, and voice biometrics. We can all use a hand every once in a while, that’s why the entire idea of a personal assistant is currently taking off so well. Apple has Siri, Microsoft has Cortana, Amazon has Alexa, and even Google has their own personal assistant AI. Some may be more capable than others, but the overall idea is utilizing AI to make our lives simpler. And AI can do just that in contact centers as well. Of course, bots are not the only way we’ll see AI creep into customer support and contact centers everywhere. Chatbots represent the front-line scenario, and chatbots offer a direct interaction with AI for your customers. The benefits can be massive, but only when tasks and service requests are simple enough for a bot to handle. Real agents will still very much be necessary even with AI at the helm; however, we can utilize AI to help improve agent experience and, ultimately, customer experience. Agent assistance AI tools will provide agents with customer information, insight, common troubleshooting issues, or even help an agent formulate a solution. Cogiti – Cogiti proudly names their solution “Call Center Intelligence,” and helps to drive better phone interactions with AI. Essentially, the Cogito solution preforms in-call voice analysis to deliver real-time guidance to your agents, as well as insight to managers. VirtualHold – With a number of different solutions under their belt, VirtualHold can provide your contact center with callback assist, a conversation bridge, a call navigator, or agent assist. VirtualHold is slightly different from a full AI approach in that it still offers an interesting array of tools to assist your agents with the information they need. Figure Eight – Flat out AI for your business, Figure Eight offers training data, machine learning, and human-in-the-loop solutions in a single platform. Powered by Microsoft Azure Machine Learning, Figure Eight helps combine humans and machines for a better support model — or whatever it is your business is looking to improve. Radius – With a little bit more of a specific approach — along the lines of predictive B2B marketing — Radius provides users with an effective tool for predictive analytics. This helps agents who are utilizing machine learning to quickly identify and understand the most promising prospects. Chatbots really aren’t anything incredibly new. I remember toying around with some primitive versions back on AOL Instant Messenger even when I was in the fifth grade. However, those bots were weak, and would only reply with a few canned phrases and only respond to a few specific interactions. 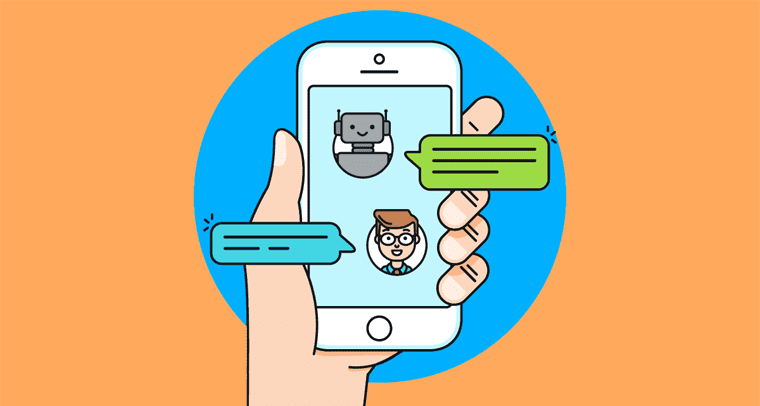 These were far from the new, more powerful chatbots already utilized by many companies to improve their customer service interactions. Using chatbots as your contact center’s first line of defense is one of the easiest ways to help boost your overall contact center’s efficiency and your bottom line. Bots are available 24/7, don’t need a rest or breaks, don’t lose their temper, and can respond to multiple inquiries instantly. 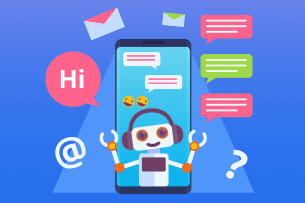 Chatbots are absolutely amazing at quickly and effortlessly handling basic tasks and requests that would otherwise eat up precious agent time. Agents will still need to handle complicated and personal requests, but that is where a live human interaction shines. Meanwhile, bots can cut through the vast majority of your phone calls. Inteliwise – Almost your one stop shop, Inteliwise offers a complete customer self-service platform. More specifically, Inteliwise not only offers their unique Virtual Assistant BOT, but also live chat and a total contact center platform. 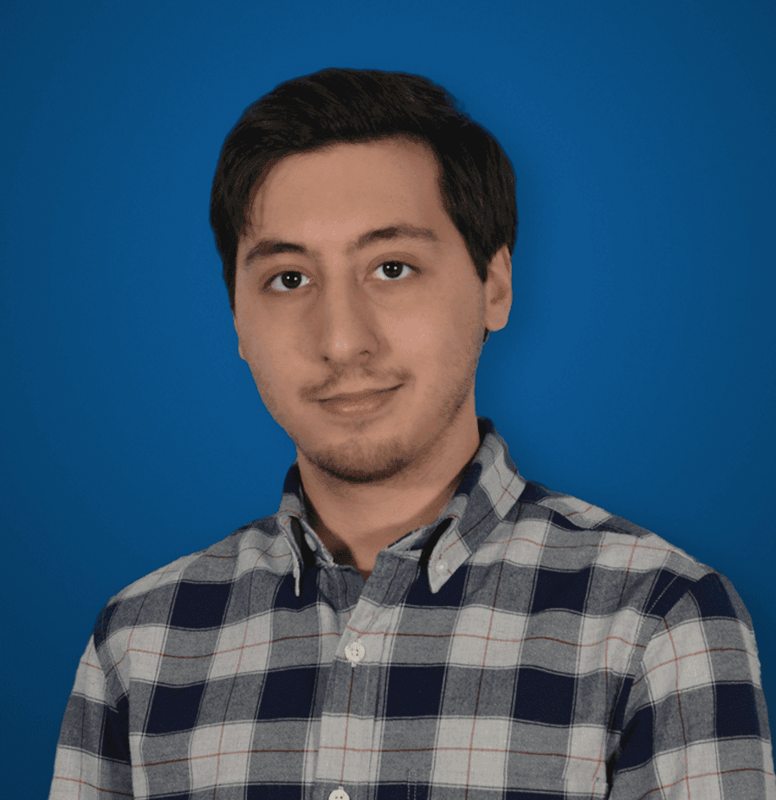 InbentaBot – With a wide array of AI-focused solutions, we wanted to focus specifically on Inbenta Technology’s InbentaBot with virtual assistant. 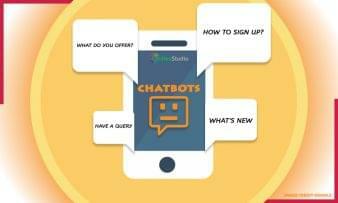 This bot can instantly answer customer questions on websites, SMS text based support requests, mobile apps, peer-to-peer communities, and even brick-and-mortar kiosks. Flow.ai – Described as an AI-driven interaction platform, Flow.ai provides contact centers with bots of all sorts. This is not necessarily to replace humans as we explained, but to offer that first line of defense for simple requests. The platform also provides an app for all of your support channels, and even allows for agent automation. NextIT – NextIT provides a layer of support between customers and the contact center team. Specifically focused on conversational AI, NextIT is even capable of handling complex questions. NextIT’s AI-powered bots can execute solutions and deliver outcomes instantly. Interactions – Interactions offers not only an automated customer care virtual agent powered by conversational AI, but it also provides Speech and Language solutions, such as “Voice Biometrics” and text-to-speech recognition. Part of expanding your contact center means expanding the channels and methods of contact for your clients and customers. We’ve taken a close look at how texting could easily replace phone calls for support, and chatbots do a great job of enabling automated text support. However, the need for an agent still exists, and the desire for clients to speak to agents through text message or chat is still very prominent. Previously, this would require a phone number to text, or a user engaging a chat on a website or specific chat app (say Facebook Messenger). However, we’ve also taken a look at how contact centers can go ahead and make the whole idea even simpler. Direct in-app support is the mobile equivalent to support embedded into your company’s website. Clients who utilize your app — say, Amazon’s app for mobile shopping of Bank of America’s banking app — will be able to gain the same level of support without ever leaving your app. This is the power of an omnichannel experience. Helpshift – We took an in-depth look at the Helpshift platform in the past, but the provider is certainly worth mentioning again. If you want to supply your customers with support directly within your mobile apps, the Helpshift platform is dedicated to just that. LiveChat – If Helpshift isn’t exactly what your team is after, LiveChat might come to the rescue. LiveChat offers in-app support as well as chat on your websites, so it’s more of an all-in-one package. Customization seems great as well to give your support windows a personalized feel. Customer360 – Expand your mobile in-app support to include video chat options for even more improved customer engagement. The entire platform allows for powerful features like proactive push campaigns, smart segmentation, and an in-app inbox to help organize support chats. Nudgespot – With five different specific use cases — Acquire, Engage, Retain, Support and 1:1 Personalization — the Nudgespot platform offers tools, such as Behavioral Targeting, which are beyond the singular ability to offer in-app support. Intercom, Inc – Intercom is similar to Nudgespot in that it offers multiple solutions on its platform, such as Acquire and Engage, for web and in-app support to capture leads and send targeted emails. Also available are tools to help clients service themselves as well as more traditional tools like email and and live chat. AI might be the next best thing, but it’s not the only existing or upcoming technology we can use to improve our contact centers, the support they deliver, and our agent efficiency. Automation is an entire industry of its own, helping users complete routine tasks with ease — sometimes without having them even lift a finger — and provide users with the resources they need right away. Call center automation in itself is unique, and can offer one of two approaches. The first is to automate tasks that agents complete with their desktop tools — for example, a tool that can automatically input customer and transactional information directly into your CRM after a call. The second approach is to automate what agents will say to customers during a call utilizing pre-recorded audio. The concept is similar to integrations, with desktop integrations helping agents focus on the interaction instead of flipping through apps. We already know how great certain integrations are at boosting agent efficiency. Pre-recorded audio is a new and unique concept that helps increase the probability that callers will provide agents with the right information by asking specific, systematic questions to ensure accuracy and understandability. Jacada – Jacada helps solve the “customer experience paradox”: how do contact centers provide quick, simple, and helpful support calls or chats, but also manage to handle a massive influx of calls and keep each interaction low-effort and efficient? Automation from Jacada is one way to do that. UiPath – UiPath Studio is a simple enough solution designed so that anyone can establish their own “robotic process,” or automation, without any development knowledge. Users can automate any process and either work off practice templates, or build their own complex automation scripts. Parlance – With both advanced IVR services and Call Center Automation, Parlance could work its way onto our list multiple times. When it comes to automation, Parlance offers a state-of-the-art Operator Assistance tools to allow callers to speak, respond, and behave normally. Your automated system is kept in check using speech recognition, natural language capabilities, and manage services. WorkFusion – Also capable of falling into multiple spots on our list, WorkFusion offers both Chatbots and, more importantly, Smart Process Automation. This allows agents to automate bots, workflows, and even analytics to leverage the mass data that contact centers collect. Nintex – Nintex is, at its core, focused directly on workflow automation, delivering a powerful “workflow platform” to help turn time-consuming tasks into just a few simple clicks. The platform is even powerful enough to automate company-wide processes. The contact center industry is no stranger to introducing and integrating new technologies into their arsenal of solutions and tools. In fact, the concept of a contact center has simply grown out of call centers adopting new and modern technologies, expanding their reach, and opening up new paths of communication for clients and customers. Back in its early days, IVR solutions in the 70’s were incredibly complicated and expensive for automating simple tasks that a human could otherwise easily do at no extra cost. At this point, however, it’s almost impossible to imagine what a customer service or support phone call would be like without first navigating through what we now refer to as a dreaded experience: the IVR system. In the 90’s, call centers eventually migrated their systems to support multimedia — a shift also reflected in the development of contact centers we’ve seen emerge more recently. Computers and digital tech were far advanced at this point, and were making their way into average homes and classrooms. Once the technology became mainstream, simple, and affordable enough for mass adoption, the IVR took off. The exact same scenario is playing out in front of our eyes right now. Except of IVR systems, though, we’re reaching a point were AI will soon replace a large number of jobs in a large number of industries. On the bright side, we do see opportunities for AI to co-exist among live agents in contact centers, and a massive opportunity to leverage the new tech in multiple ways. For example, agents can combine their best contact strategies (such as these cold calling tips) with software that will give them all of the information they need right when they need it. In fact, AI will help revolutionize the popular omnichannel strategy that’s made its way into most contact centers. Between direct, instant, and simple support for clients; personal assistance for agents; or utilizing AI and machine learning to develop and understand customer behavior patterns — contact centers are always on the forefront of technology in more ways than just one. If your business wants to remain competitive, that means finding an edge wherever possible. Right now, it’s safe to say that AI and its surrounding technologies can provide that edge.